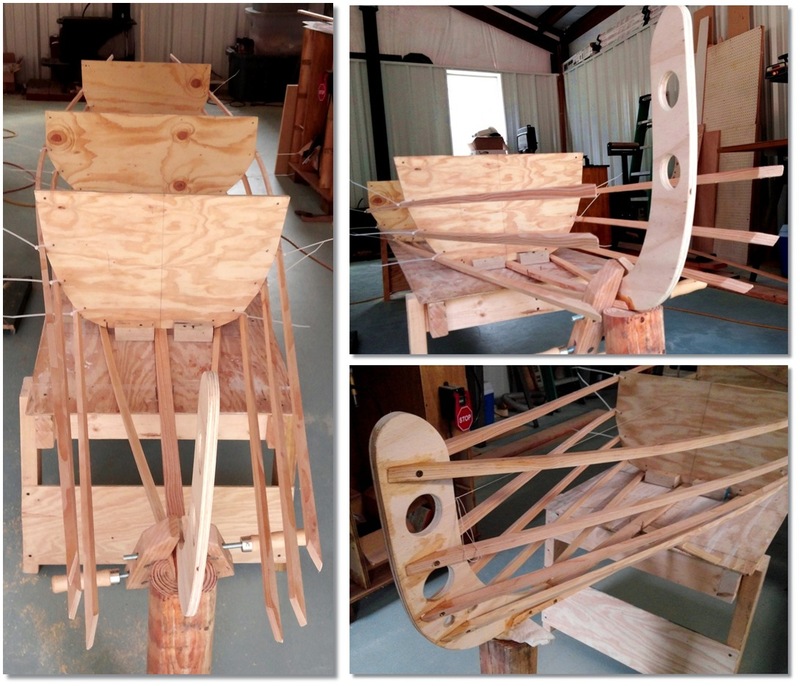 My dad built a woodshop/boatbuilding shop at my childhood home in Arkansas as a retirement gift to himself. With Sarah and me on an extended return home, I HAD to use the shop to try out a skin-on-frame style boat. 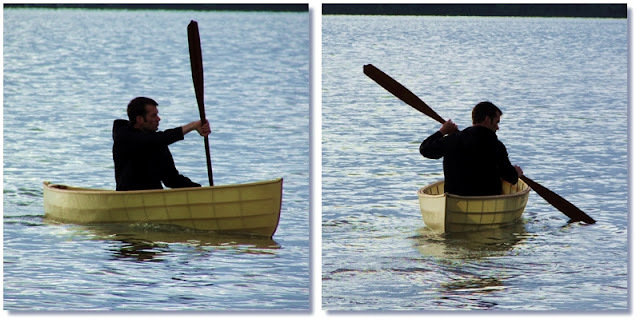 Normally the method is used for kayaks; I decided I wanted to try a canoe. 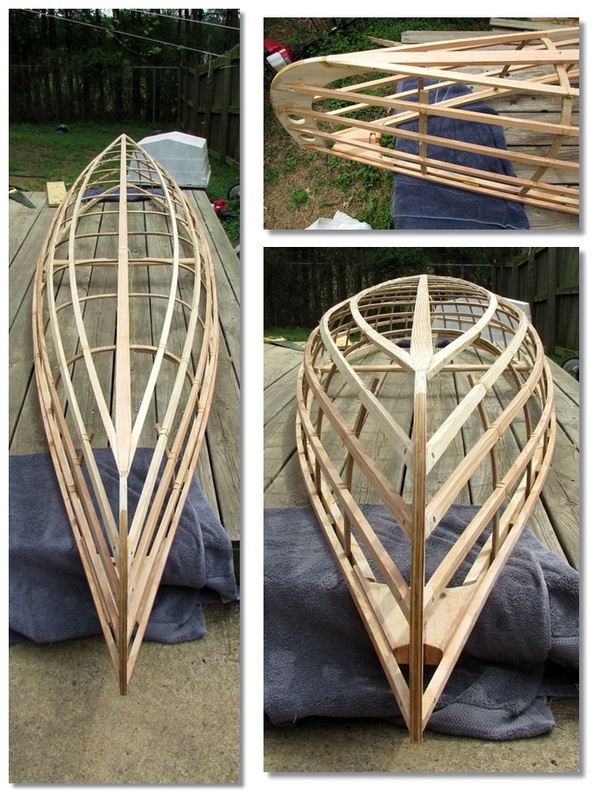 Aside from how lovely skin on frame boats are, I was also hoping the method would result in something incredibly light, because if you can't beat a plastic production boat, then you shouldn't be building it. First stop was the lumber yard. Reeeeally long construction grade lumber tends to be knot free, straight grain Douglas fir, and can be had at construction lumber prices, I bought two 26 foot 2x8s and had them cut to 17 1/2 feet and 8 1/2 feet. The total bill was about $36, and I only ended up using one of the 2x8s. Dad recently equipped his shop with a bench planer, but hadn't tried it out yet. 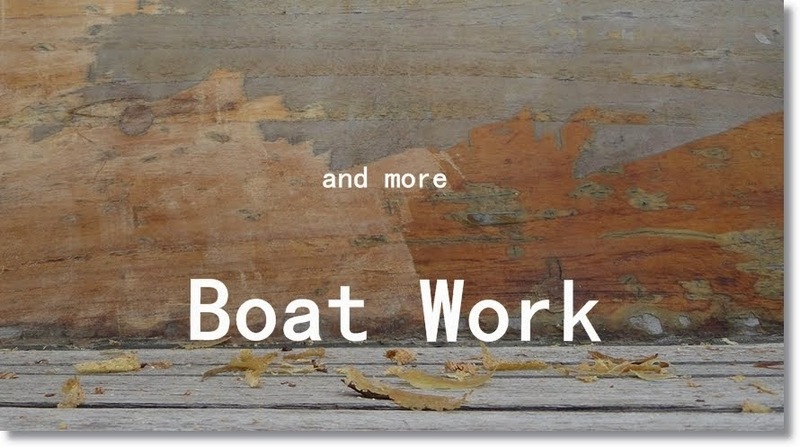 I hadn't used one either, but now I can't imagine a boatbuilding shop without one. I was able to rip the stringers to rough dimension on the table saw, then send all 17 feet through the power feed planer, and they would come out the back side perfectly square, smoother than sanding, and exactly the dimensions I wanted. 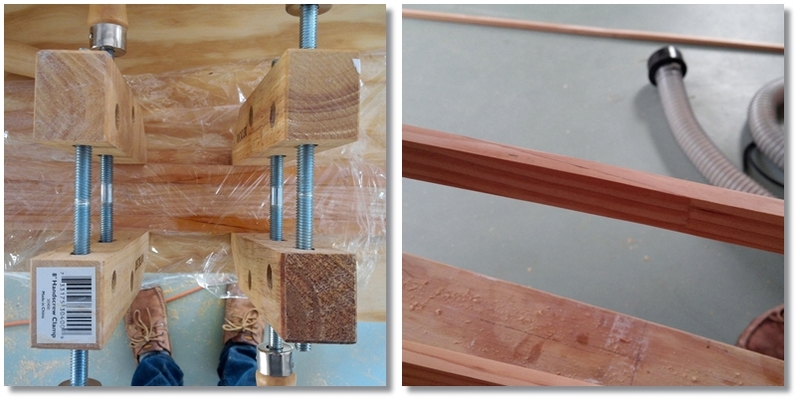 Lovely straight-ish grain Douglas Fir stringers of identical dimensions. 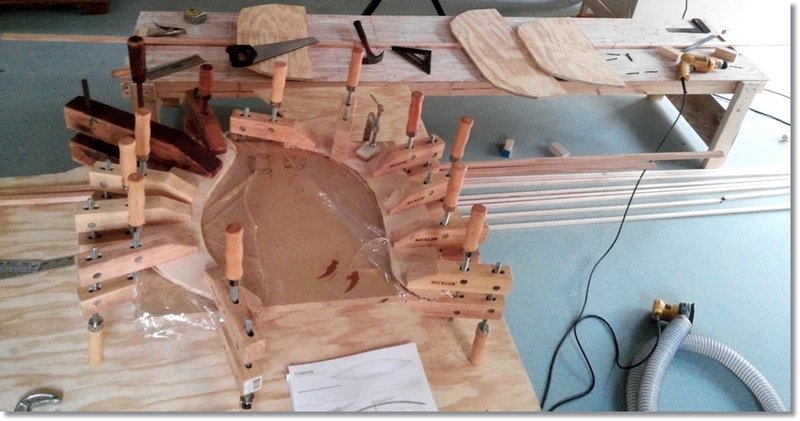 The board did have one knot that I had to cut out of two of the stringers after they had all been ripped. Nothing a simple splice can't fix. I based the canoe on free plans by Gavin Atkins on Duckworks. 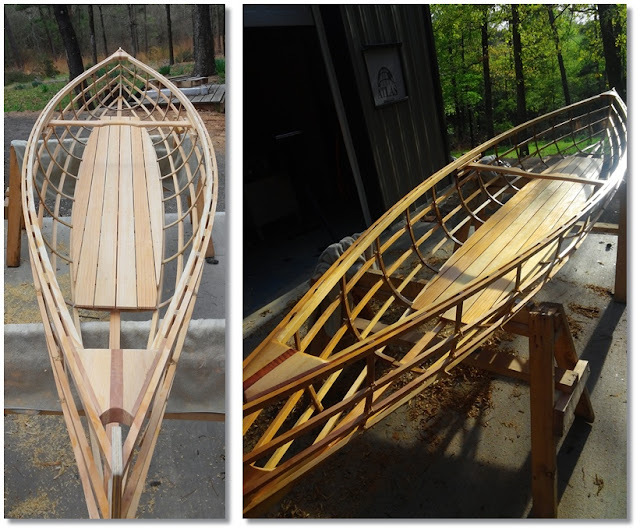 The original design was for a 12 foot chined plywood canoe, but I just took the three main cross sections, stretched the distance between each of them and the stems proportionally to 14.5 feet and then used the chine lines as stringer locations. 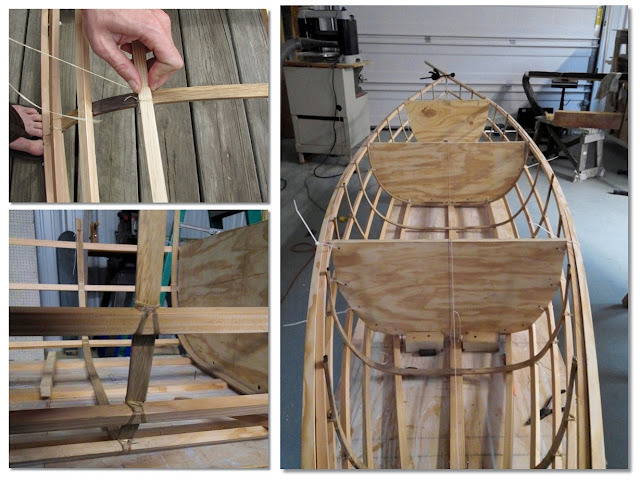 I end up using zip ties on nearly every boat I have built and this one was no different: each stringer was held in location during building with zip ties run through holes drilled in the molds. I wanted to make laminated stems, but gave in to the easy way of cutting them out of plywood. At least I laminated two 1/4" pieces into 1/2", and then cut and chamfered holes in them to make them as cool as plywood can be. 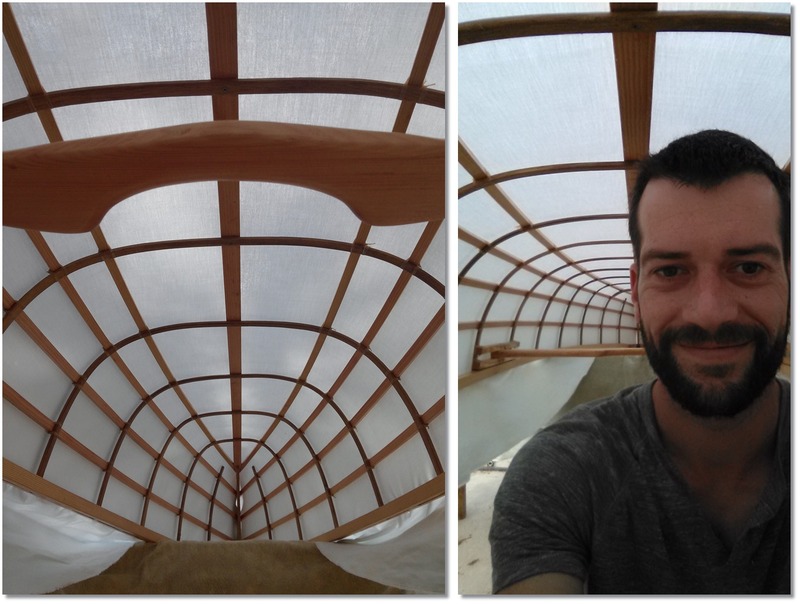 Breasthooks are one of the very few places in a canoe that a woodworker can show off. Someday I'll be able to do incredible inlays or carvings, but for now a lovely burled asian mahogany stripe lamination with some nice arched shaping shows off the limit of my skill. The mahogany came from an old made in China rope and wood fire escape we had at the house. Turns out they used some really interesting mahogany for the wooden rungs. To join the longitudinal stringers into a canoe shape, I had to steam bend ribs into shape. I decided on a rib spacing that landed me with 13 ribs. 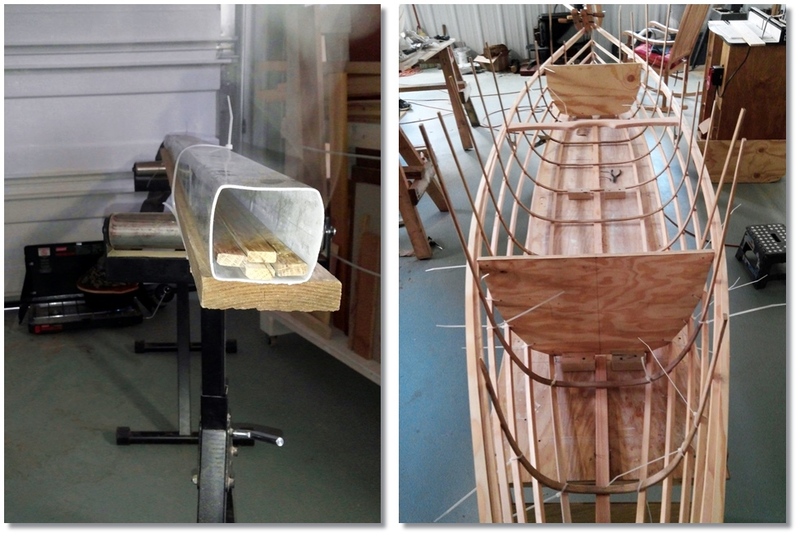 11 Ribs are full gunwale-to-gunwale and the two at the ends have the middle removed because the bend was too great. The ribs came from a large post oak that had grown outside my bedroom window as a kid. Mom and Dad cut it down almost 10 years ago and had a mill rip it into lumber that had been air drying under the deck ever since. A simple gutter downspout duct taped to a tarp manifold on top of a pot of boiling water makes a sufficient impromptu steambox for the small ribs. This was also my first experience steaming wood. I had seen many videos, but never felt it in my hands. Steaming is amazing and the wood works almost like wire while it is still hot. Instead of bending the ribs around mold shapes, I bent the ribs directly onto the stringers in the canoe and zip ties were employed again to hold them tight in place against the stringers while they cooled. Then came the hell of replacing every zip tie with a lashing. I tied each of the exactly 100 lashings tight with artificial sinew (waxed flat stranded nylon). At first it was fun, but after about 15 lashings, my fingertips hurt and the line began to cut into my fingers pulling it tight. By the end of lashing, I had cut multiple bloody furrows in both sides of index and middle finger and the backside of my pinky. 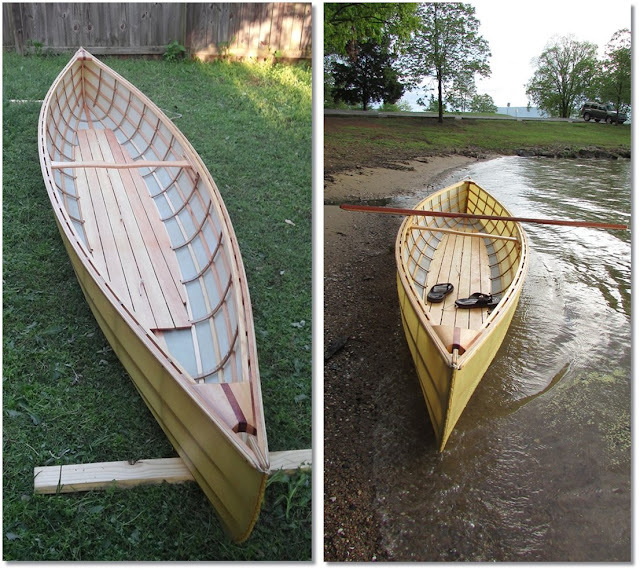 As all handbuilt canoe builders should, I carved up a yoke-shaped yoke. 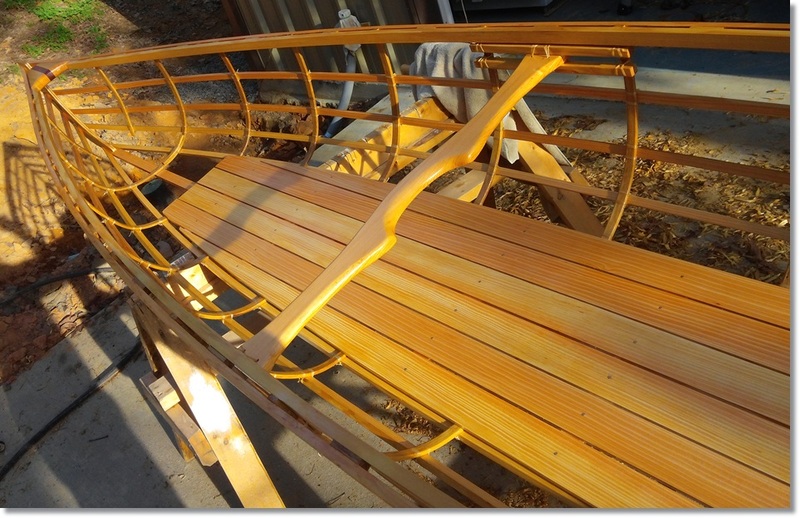 However, unable to figure out a good way to attach it with glue and screws between the center and just-aft-of-center ribs, I reluctantly decided to lash it as well with a couple spreaders and a further 10 lashings. 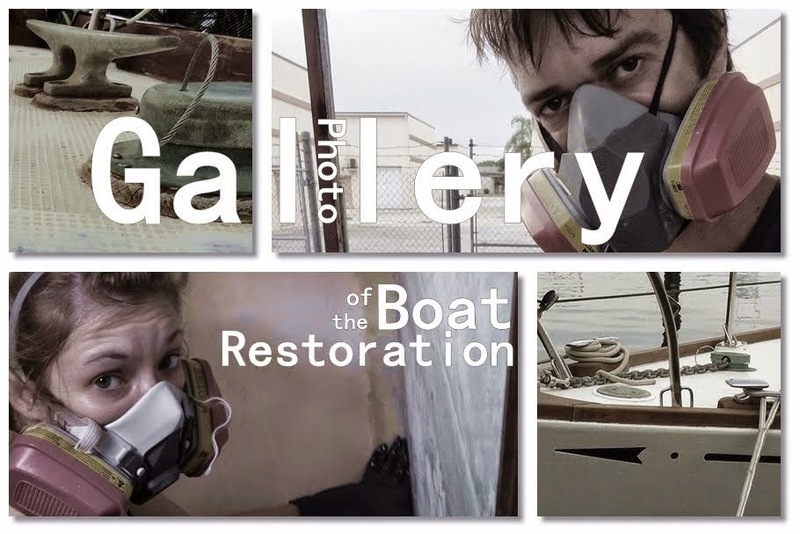 Okay, I sacrificed my hands one more time for aesthetic, but there was a loud part of me that wanted to glue and screw it to the gunwale and be done with it. I cut floorboards out of the remaining 8 1/2 foot long off cut of the board that built the boat, and then sent through the power planer like the stringers. They barely needed sanding. 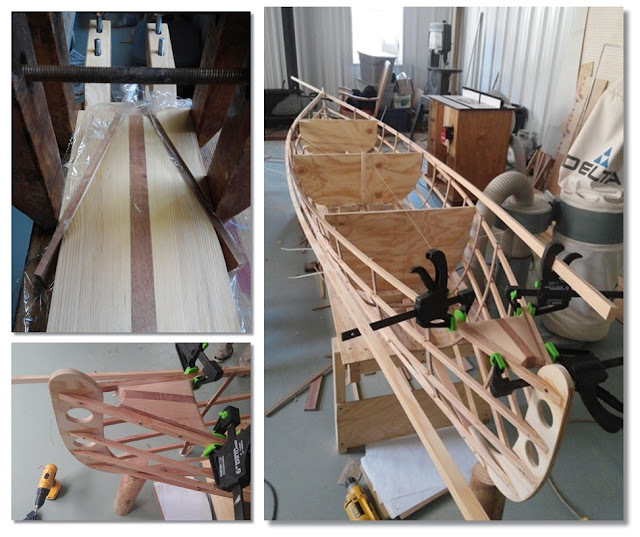 I grooved the bottom of the boards for the ribs so that it wouldn't slip around in the boat. I also coated the frame and floorboards in oil before covering. 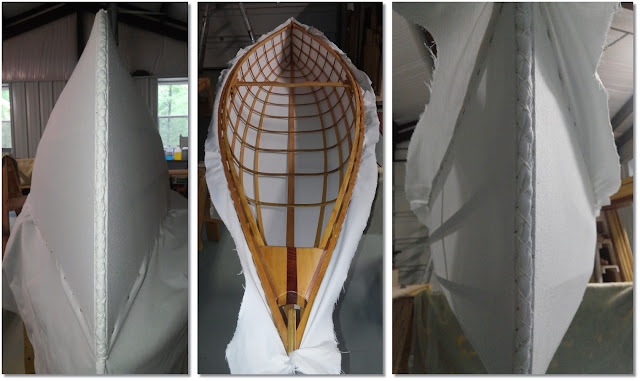 I thought covering would be the worst part of making a skin on frame boat, and while grabbing and pulling the fabric tight did result in a lot of bloody knuckles and raw fingertips, it was fast and easy. Of course I am talking about doing it with my dad as a two man job, but I can see how it would still be relatively easy alone. I used cheap recycled 100% polyester canvas from kudzucraft.com, but it is in no way indicative of the fabric they normally sell; it was a warehouse leftover special that they don't normally carry. It felt and worked about like cotton canvas. Also like cotton, the fabric had a micro-furry surface that made for a rough finish. In the future I would use a smooth polyester like kudzucraft's normal fabric. Stretching is easy. First, put a couple stainless steel staples at one end, pull the fabric lengthwise, and then a couple more staples at the other end. Then, pull and staple the side tight going back and forth stapling a couple inches of gunwale at a time. Done. Ideally I should have marked a centerline to verify that I didn't pull the fabric off center, and then noticed how far off I had pulled it while going along, and then decided that I didn't care, but I skipped all this and went straight to not caring right off the bat. With it stapled tight, I decided to finish the ends by cutting a couple inches long along the stem curve and then rolling and stitching over the rolled fabric with thick polyester twine as I removed the staples along the stem. At this point I thought I was so cool. The frame with cloth weighed less than 30 pounds. I had forgotten to weigh the floorboards. If I had, I probably would have sent them through the planer a couple more times. Also, I had no idea how much urethane this was going to take. 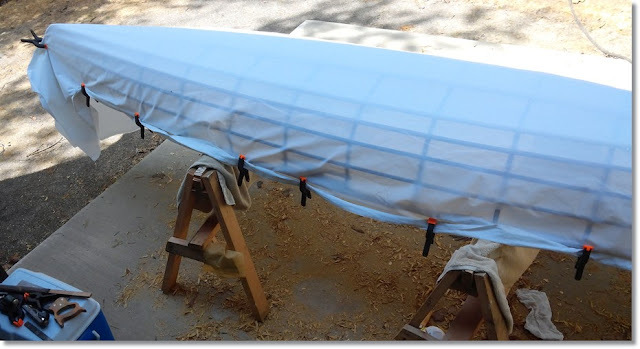 I trimmed a lot of the excess cloth hanging off the sides and started to lay on urethane: Varthane Oil Based Spar Urethane from your local Home Depot or Ace Hardware. I bought a gallon expecting to have some left over. 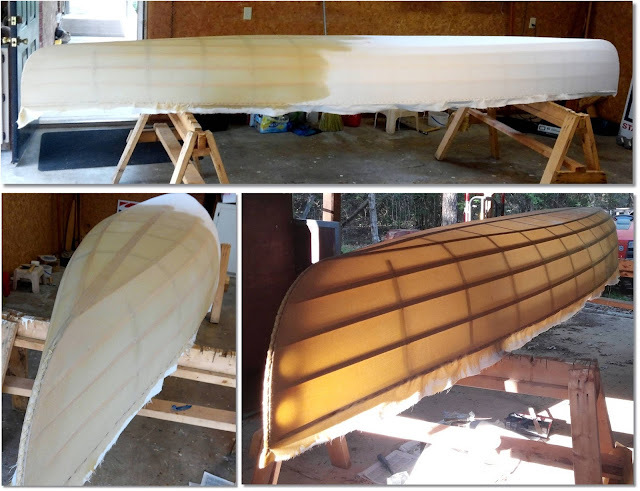 With the way the cloth sucked up the urethane I ran out of my gallon just over a third of the way through the boat and had to rush back to Ace for two more... and then another. With the basic work done, I took some time off to make a paddle. After the urethane dried, the cloth was trimmed exactly 5/8" above the gunwale, folded down, and a thin strip of Douglas fir nailed over it. 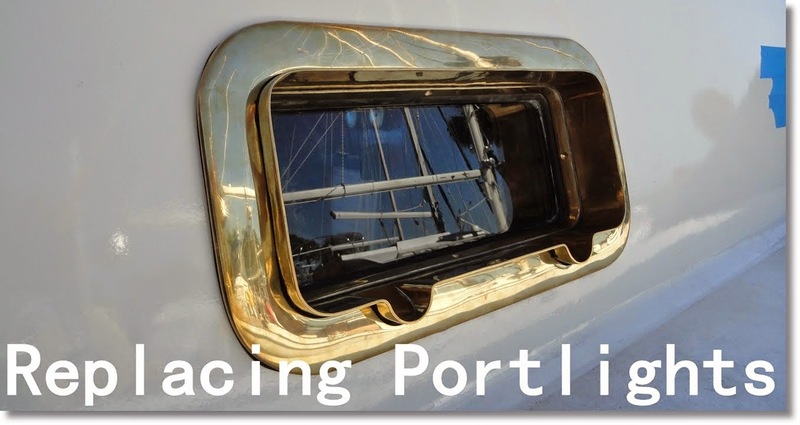 Then the floorboard were lashed to the ribs at four points along the centerline. Here I am pretending that it is light. It actually came out to about 48 pounds, which is 10 more than I had calculated/hoped. 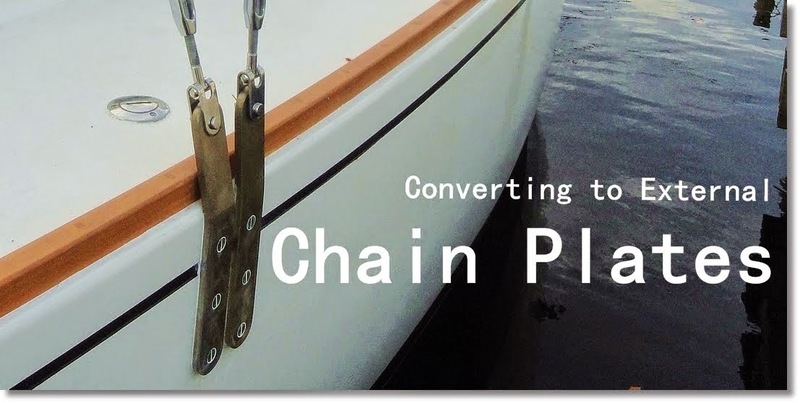 It is more urethane than anything else, both monetarily and by mass... and to think I was trying to avoid a plastic boat... 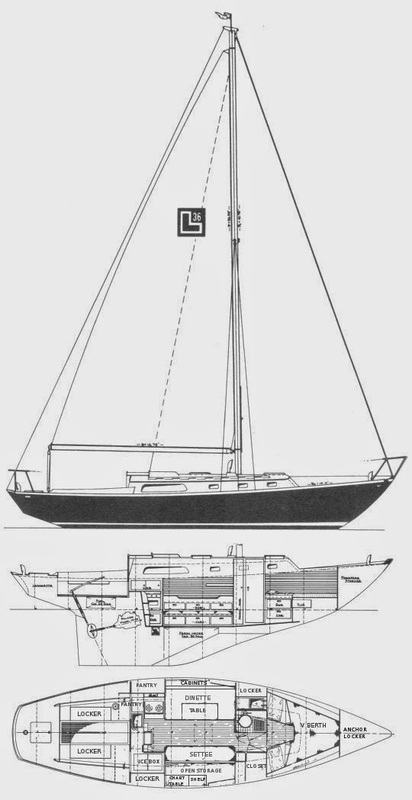 But it is still somewhat lighter and way cooler than a production boat of similar size. Very cool and a beautiful boat. I'm filing this away for someday when I also have some spare time in my Dad's shop. Thanks for sharing these great ideas. A benchtop would work for you but there are some issues. If it's a bladed cutterhead, you will need a way/place to resharpen the blades. Spiral cutterheads are available for many of the benchtops as a retro-fit but are expensive. 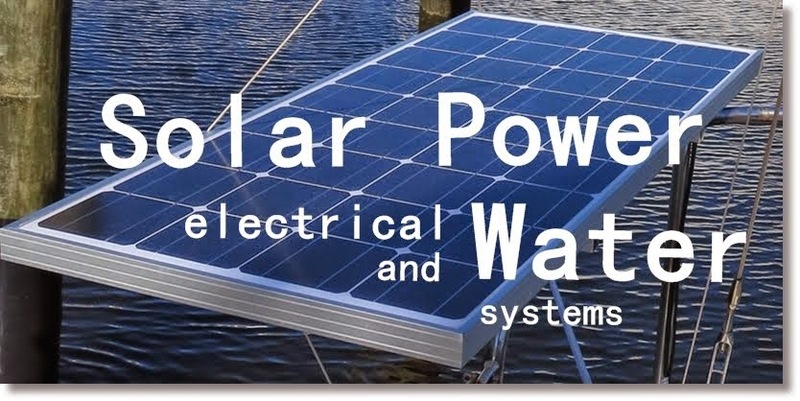 Click here to read more articles about benchtop planner.